Hey friend! We have some exciting news for you! For a limited time, we are having an open design team call! This is your chance to join our talented team of designers. Are you someone with a passion for crafting and inspiring others? Do you love showing off your handmade creations for friends to see? If this sounds like you or someone you know, then we may have just the perfect opportunity! We at Heartfelt Creations have a mission to create beauty in the lives of our crafters, inspiring others with art from the heart. We make the world more beautiful through the inspiration we have to offer. How do we do this, you ask? Well, it all starts with a great team. A team of talented artists and designers who are driven and committed to bring their best to our crafting community. Could you be a great fit to join our team? Here are some things we highly value and require of our designers. Do you have a team player attitude? Do you have experienced crafting skills? Are you willing to learn and continue to develop as a crafter? Do you regularly share your projects to social media, such as Facebook & Instagram? Do you have an active crafting blog or website? Can you communicate fluently in English? If this sounds like you or someone you know, apply at http://hcgo.co/19dt-apply for your chance to join our team! Deadline to apply is Wednesday, Feb. 27th 2019. We can't wait to see your application! How wonderful! I've submitted my application - hope to hear from you! I am truly excited to be part of your design team. You will be getting my application here very soon. And look forward to hearing from you soon. I am truly grateful to join you. I don’t have a blog or a website that’s not good. I’ll have to work on that I guess. This is a golden opportunity for me,will love to be the part of heartfelt. I would love to be a part of Heartfelt Creations design team. I adore all of your cardstock. I have been creating for several years now and enjoy learning as well sharing ideas with others. I can agree on all the needs above. I love crafting and I love your products. Would be honored to become a teammember. Hi , such a wonderful opportunity . Sadly living in the U.K. I probably would not be considered . Good luck to all entrants . 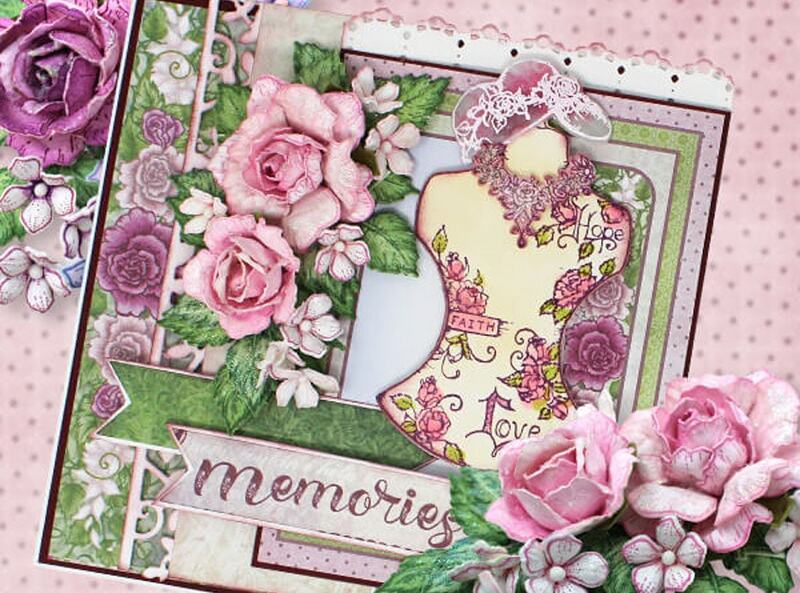 Heartfelt creations are one of the lading lights in the craft world . Hi Kay, I just wanted to touch base with you. We have designers all over the world. Being from the U.K. would not affect your opportunity to join the Design Team. I hope that helps! Have a wonderful day! Hi I am a teacher and going into retirement and this opportunity has come at just the right time in my life. I love the cards that can be made from your products and am a total convert using some aspect of heartfelt creations in approximately 99% of all cards I make. It would make my day to join your team and promote all things Heartfelt. This will be a wonderful opportunity to join the 2019 design team. I am looking forward from hearing you soon. Thank you so much. I truly excited and love to jion your design team. Forwarding my application to you Thanks. I love your crafts, dies and stamp sets. I love creating cards. I teach a "Caring Crafters" ladies group at our church and am also in charge of Fellowship which included a recent Ladies Tea at which I used one of your die and stamp sets to make a corsage to pin on our ladies. They loved it. I would love to be a part of your very creative team. I would also like to send you some of my creations from your things. This would be a dream come true for me! I love papercrafting and learning new things. I love your products and the amazing things made from them. It’s amazing that you allow your fans the opportunity to try out for your design team. I sent in my application and my fingers are double crossed... I would love to join your team. Best wishes. Thanks for the invitation., but I think my Englisch is not fluently enough. Wow. What an opportunity it would be to share my work with the world using such beautiful products from Heartfelt Creations. Sending in my application. Hope I can live up to the name of card maker. I have already sent in an application! What a fantastic opportunity! Looking forward to seeing you at the Pleasanton Expo! This would be wonderful! I have been very ill this past 2 years. I have had 6 surgeries in the past year. It will be a great thing for me. I can not go into my studio for about three months but that is ok , Ihave another room n my home. What a fantastic opportunity, I would love to be part of the team. good luck to everyone.